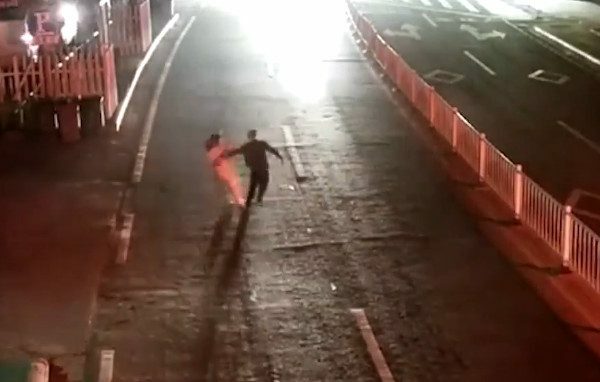 As a married couple were in the middle of a fight one evening, the husband called his wife to come pull him away from the middle of the road as a test of her love for him. He ended up being hit by a car and was sent to hospital. Fortunately, he will survive his injuries, Chinese state-run media The Paper reported on March 19. 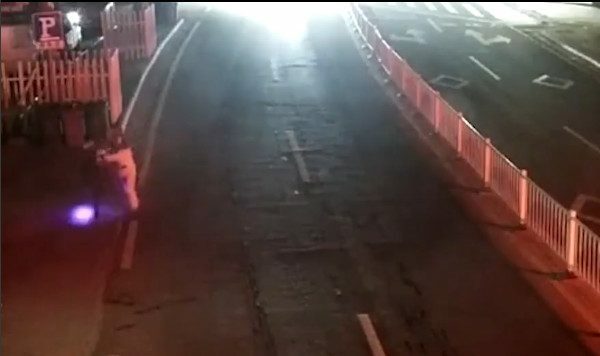 The event was captured on traffic cameras in Zhejiang province, China. According to the report, the husband, last name Pan, stepped out onto the road on road at 3:10 a.m. on March 11. Pan’s intention was to have his wife prove her love to him by seeing if she was willing to rescue him from the danger of traffic. Pan was pacing about on the sidewalk in the early hours of the morning drunk and talking on his phone. At 3:27 a.m., his wife arrived, The Paper reported. His wife, last name Zhou, walked up to him in her pajamas. 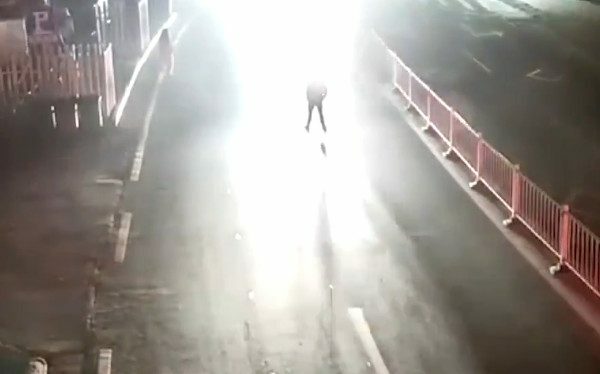 Zhou was seen in traffic camera footage standing with a flashlight. As soon as his wife approached, Pan walked right into the middle of the road. Zhou immediately started to shove her husband back toward the sidewalk. Pan made attempts to turn the flashlight onto the wife’s face as she attempted to push her drunk husband back to safety. Pan indeed continued to resist and made his way back to the center of the road. Zhou walked over to stand at Pan’s side as she looked at her phone for a moment. Zhou then took his hand, but what looked to be a moment of tenderness immediately turned back into a tugging match. After a few tugs, Pan again walked away from Zhou. 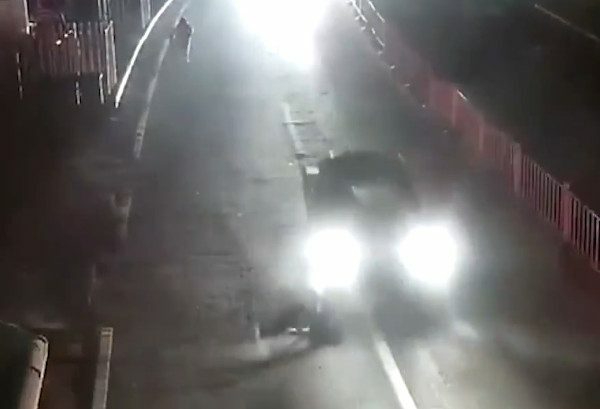 Pan was then seen in the camera footage standing with his legs spread across two lanes on the road while Zhou paced about helpless on the sidewalk. Cars continues to drive around Pan. At an undetermined time in the footage, Zhou decided to call the police, according to The Paper. She said she had no choice, since pulling and pushing Pan had been ineffective. 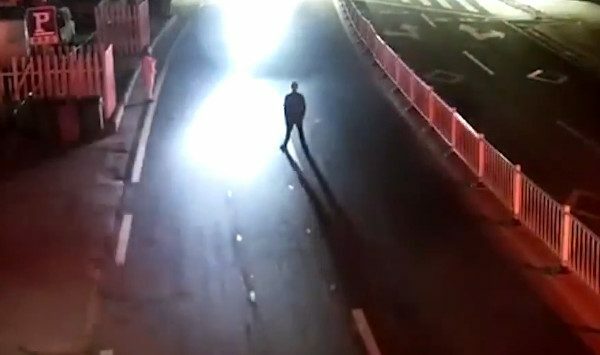 After a few more seconds, Pan was seen standing in one lane on the road. As a car approached, likely with its high beams on, Pan was flooded with light. The car suddenly smashed into Pan. Pan appeared to attempt to move at the last second but it was too late. 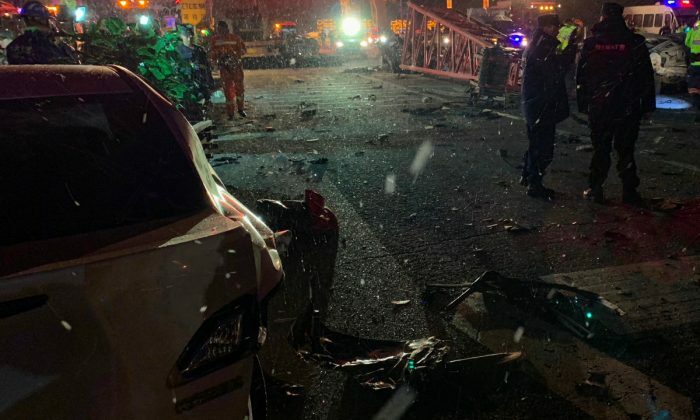 The car also swerved right moments before impact, perhaps upon realizing that a man was standing on the road, but both of their efforts were in vain. 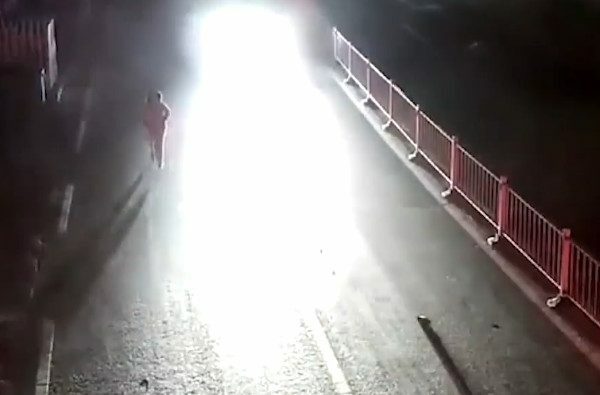 Pan was swept out of view of the camera by the impact of the crash, while the car continued driving along the road, seemingly not hitting its brakes. Zhou was seen immediately running towards her injured husband. Pan told The Paper that he intentionally stood in the fast lane. A large dent was left in the hood of the minivan and the car’s windshield was cracked on one side. Pan suffered fractures to his head, chest, and legs, according to The Paper. When Pan spoke to the police, he said that he had an argument with his wife not long before, according to The Paper. As a result, he had decided to go out drinking. 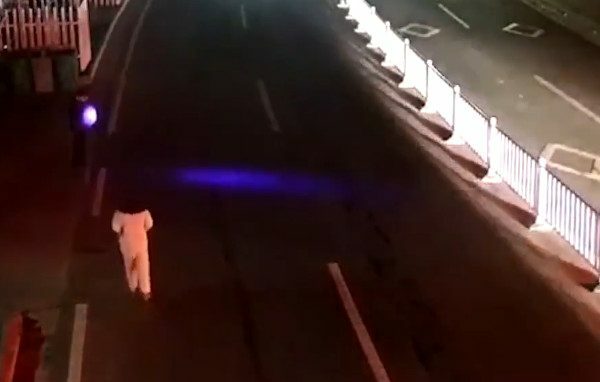 He was on his way home when he decided to call his wife out to save him from oncoming traffic.